Bot Thoughts: AVC: What About Data Bus? Though Data Bus made it to the 2014 Sparkfun AVC, it had to sit out again this year. Time ran out to fix the Bus so I focused on the Jeep. Fortunately, Data Bus and Troubled Child use most of the same hardware and software so I know from running TC that my pure pursuit implementation works. 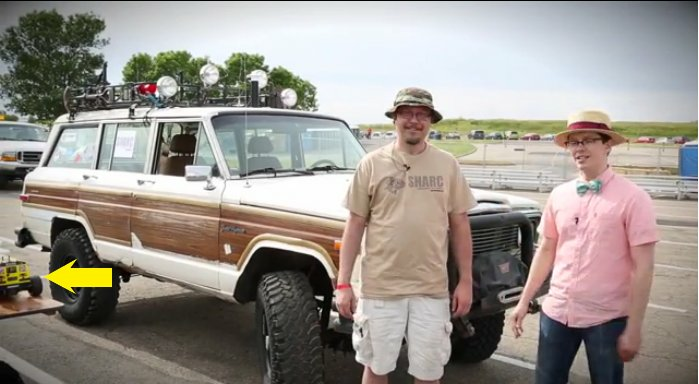 Anyway, here is Sparkfun's 2014 AVC recap video and an interview with me about the SHARC FSV at 8:03 followed by video of our third run and a special song about the Jeep at the end.